We're always honored to have our work published in national publications and this feature in Brides is certainly no exception! 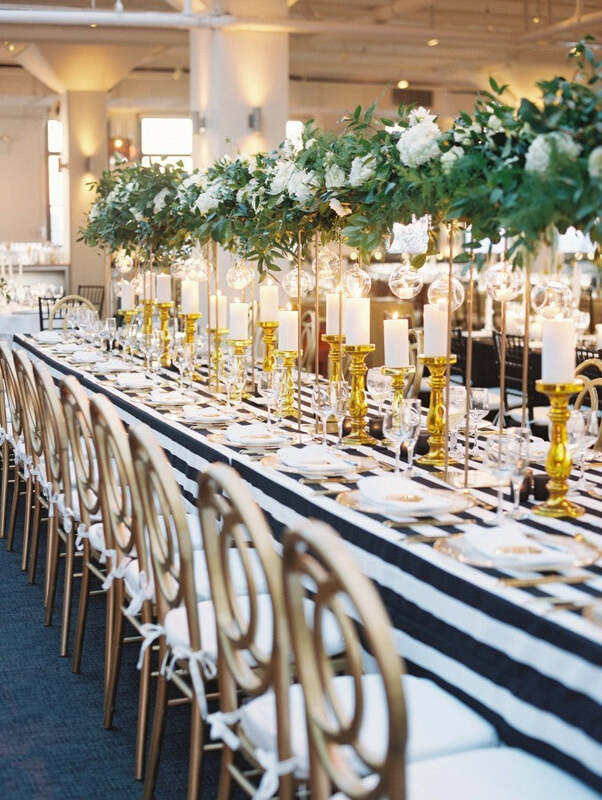 We loved collaborating with Baltimore-based Lemon & Lime Event Design on this one and what made it especially memorable was the fact that the bride is the sister of Katey Clark, Lemon & Lime's co-founder. The pressure for creativity was on! 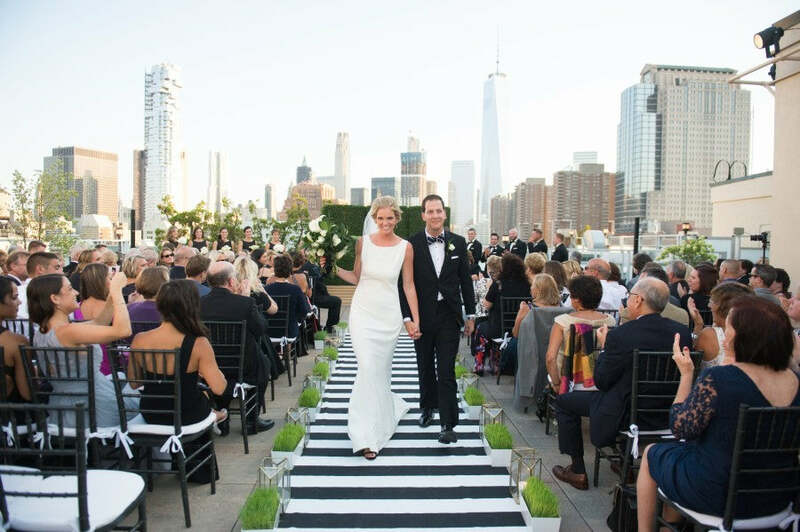 Katey asked us to create modern, yet fun-loving, welcome gifts that would also reflect the black and white color palette of Molly & Andrew's Tribeca rooftop celebration. So, naturally we selected chic black hat boxes as the gift packaging and built from there. For contents, we really wanted to try and tell some of the couple's love story as we always aim to do when designing custom wedding welcome gifts. 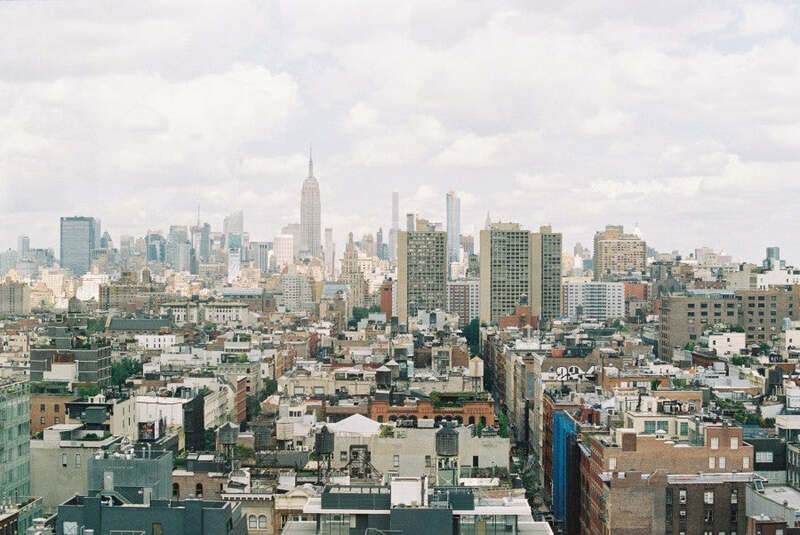 (If you're DIY'ing your gifts, here are some tips on how to achieve this!) 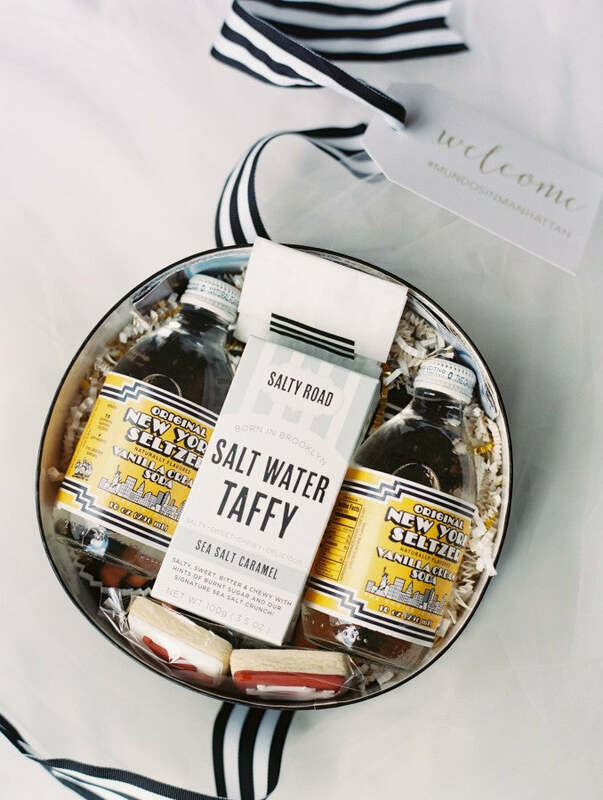 We included items local to New York including salt water taffy and New York Seltzer cream soda. 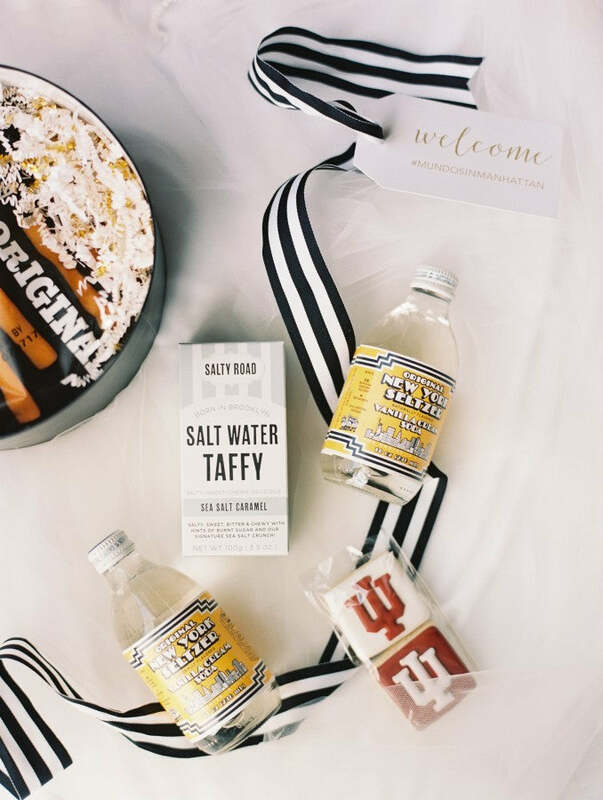 We also includes custom cookies of the couples' alma mater, Indiana University, a sweet nod to where they first met! (cookies by Fresh Bakes). Also tucked inside each box were foldable maps of the city along with small amenity items (think: Advil, Pepto, Emergen-C) packaged in mini treat bags and closed with black and white striped washi tape! 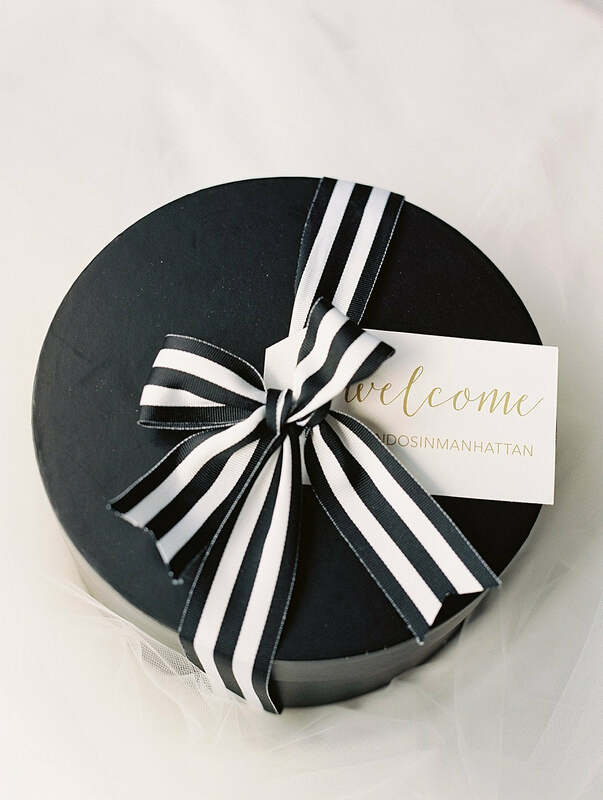 We finished the gifts off with black and white striped ribbon as well as a "welcome" gift tag featuring the couple's hashtag...#mundosinmanhattan. So fun! 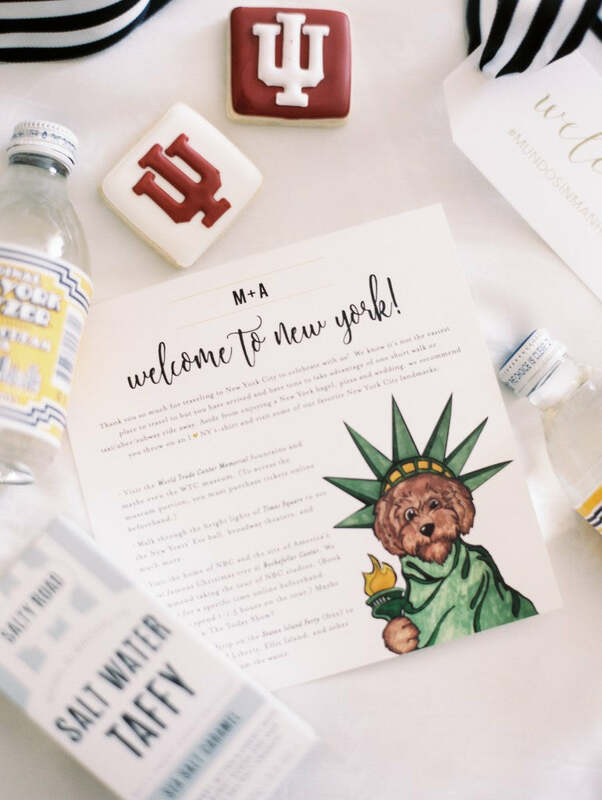 But let's take a moment to talk about these custom welcome letters with a painting of the couple's precious pup (who was very much present on wedding day!) dressed up as Lady Liberty. There are just no words for this level of cuteness so I'll just stop right here. 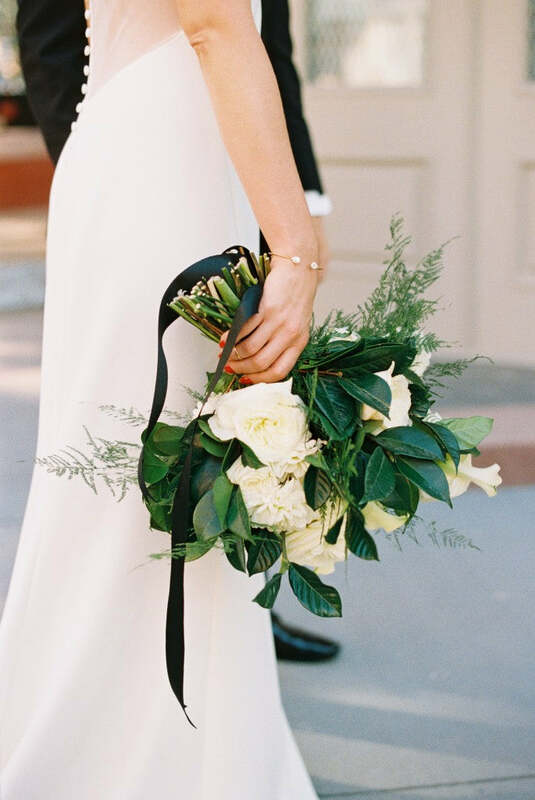 And now for some more details from this ultra chic wedding so you can see how all the details came together including a lush bouquet of lilies, garden roses and magnolia leaves. 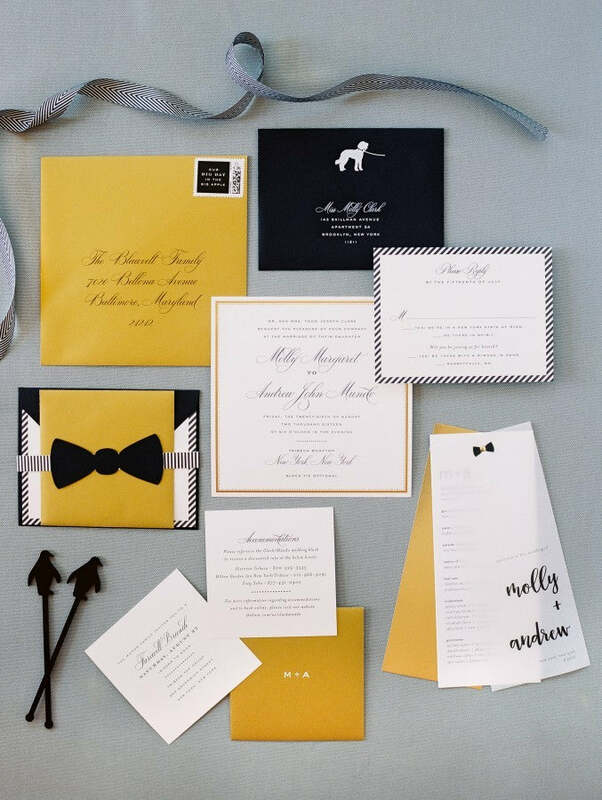 Also, the modern black and white tablescapes with accents of gold along with the couple's ultra-modern and super fun invitation suite. 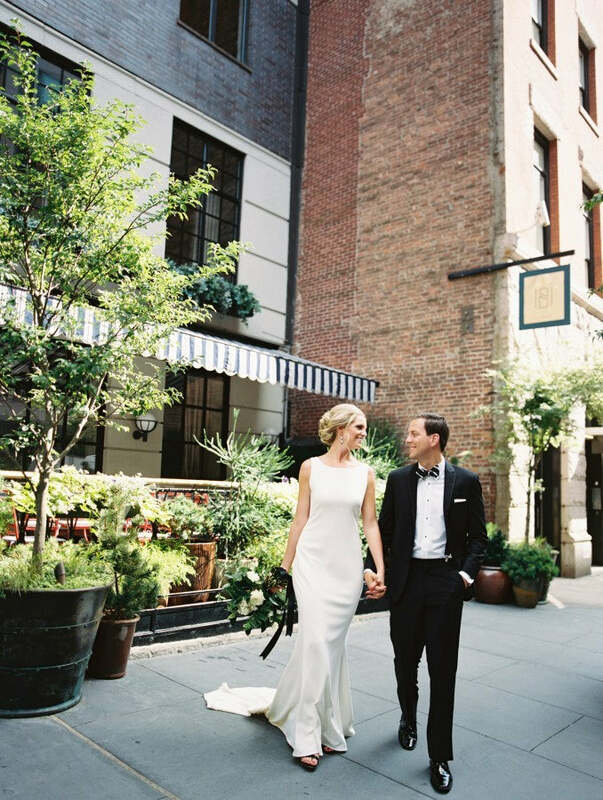 Thank you again to Brides magazine along with Lemon & Lime (and Molly and Andrew!) for including us in this incredible celebration. It was such an honor to create these luxury welcome boxes. It's definitely a project we won't soon forget! For more information on our signature Custom Gift Design Service, visit us here.